Which LED lighting would suit the style of my kitchen? Gone are the days when LED lighting came in one style, one colour temperature and one look. LED technology is now so advanced that, no matter what your kitchen’s aesthetic is, there is a lighting solution for you. At TLW we have conducted research and in-depth analysis to ensure that the products we provide are innovative and diverse. Our lighting spans many different styles and each product has multi-functional specifications so that every lighting requirement our customers need can be fulfilled. 1. How much natural light do you have in your room? This is one of the most important considerations to start with. If your room has a lot of natural night then the lighting you select can really be to compliment the aesthetic you are trying to achieve. If you have a very small room with limited natural light then it’s important to ensure your lighting is working as hard as it can to illuminate the space that you have available to you. Spot lighting looks great in a room where natural light is plentiful. This look gives powerful bursts of light across your worktop but does not flood the area if your space is already nice and bright. Continuous lighting is perfect for a room with limited natural light. This really brings a sleek and contemporary look to a kitchen and the light output is fantastic. Don’t forget to always consider that you will need to use this room at night time! No matter how much natural light you have in your room you must always include effective lighting that can be utilised when sunlight can no longer help. 2. What style of kitchen do you have? 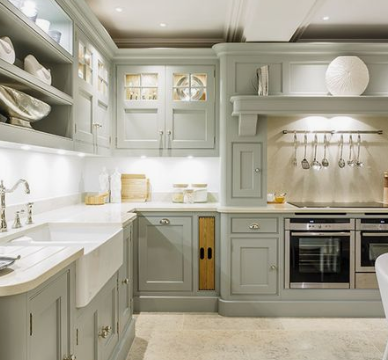 Another imperative consideration is the style of kitchen. 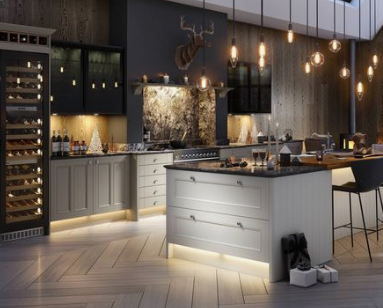 For example, if you have a traditional cottage with a characterful soft wooden kitchen it would be a shame to put cool modern lighting in as this could work against the style of the room. Always consider two aspects of the lighting where style is concerned: the fitting and the colour temperature. 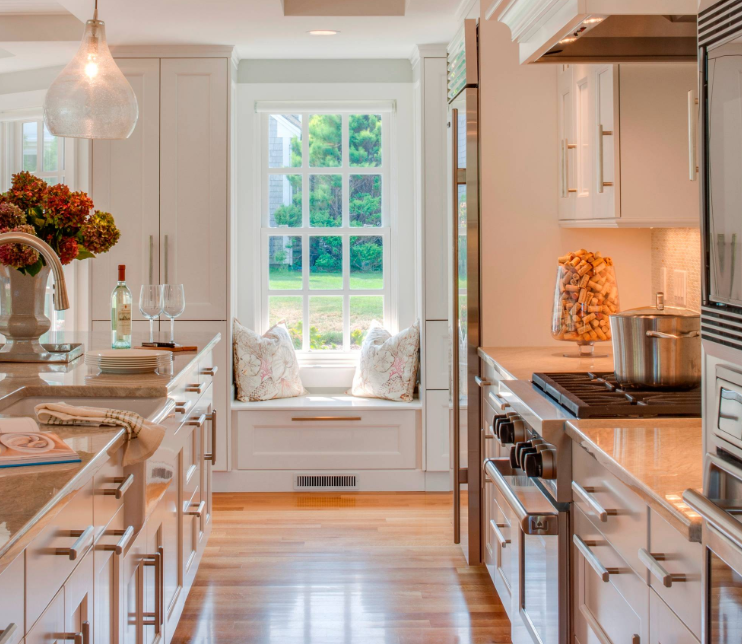 For a more traditional kitchen warmer whites often look best to achieve a cosy look. 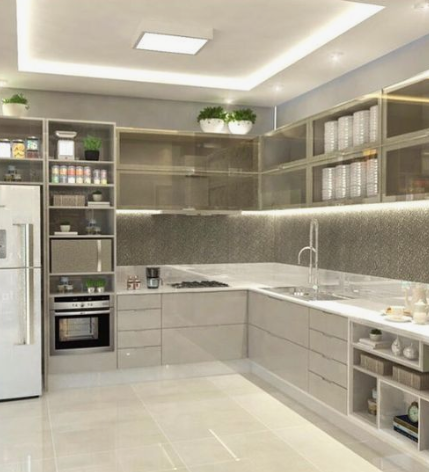 For ultra-modern kitchens cooler tones of white are usually the go to. Other styles may be somewhere in the middle of these looks and for that, natural whites are probably the way to go. 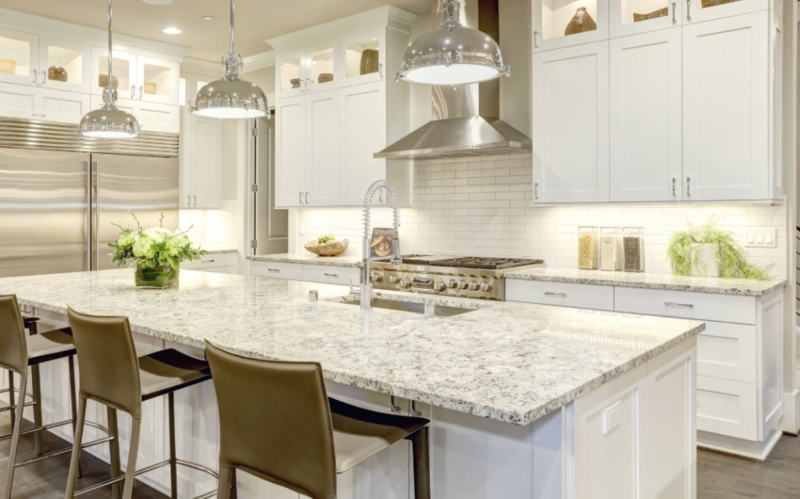 Again, when it comes to spot versus continuous lighting, traditional kitchens generally look best with spot lighting, as it is a softer aesthetic. 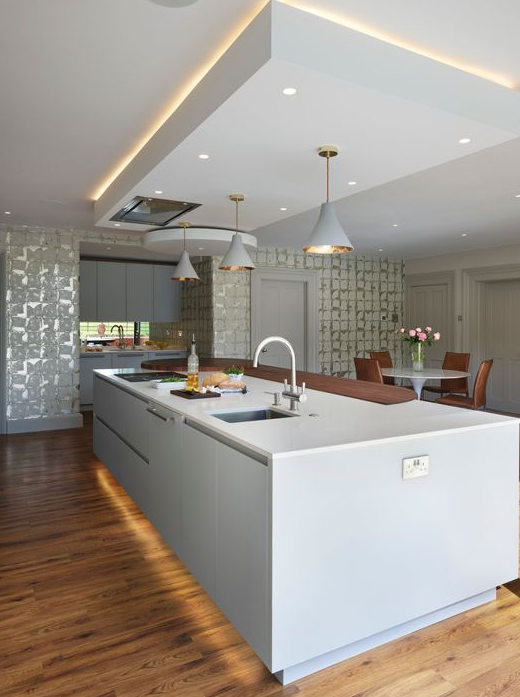 Modern kitchens look fantastic with strips of continuous lighting. 3. What colour are your worktops? 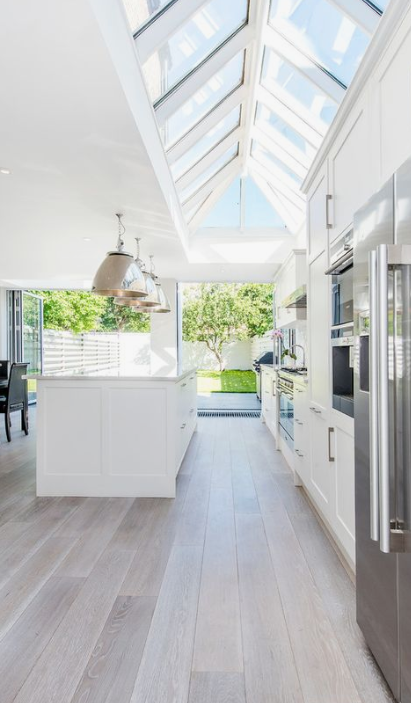 Whilst the colour of your worktops should affect the choice of colour temperature for your lighting, it will also affect the way that light is displayed onto the surface. 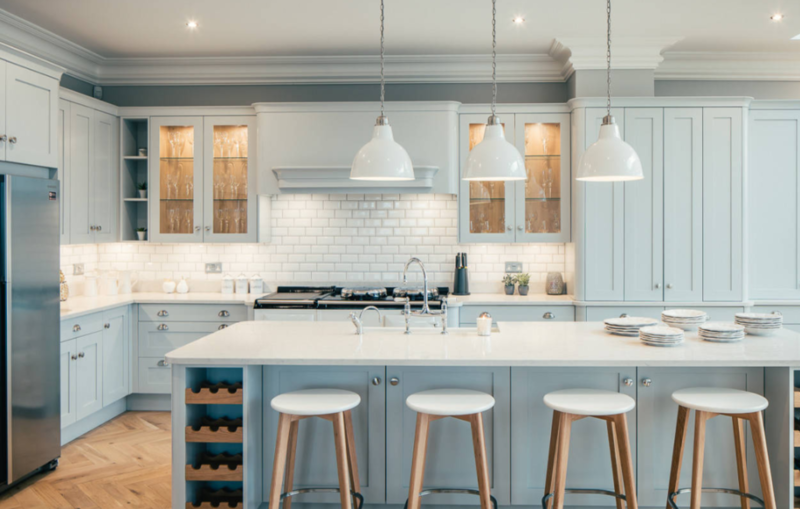 Darker worktops will absorb light which means that your fittings will need higher light outputs to make sure important task areas are properly illuminated. Dark woods and marble tops can look dull if not complemented by the correct amount of light. Opt for brighter fittings with more physical spread of light and wider beam angles. 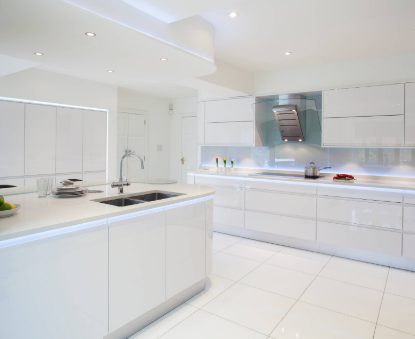 For light and bright worktops the LEDs will be easily reflected around the area so less light is required. In these instances you really can opt for whatever fitting you like best. 4. Where do you want your lighting? 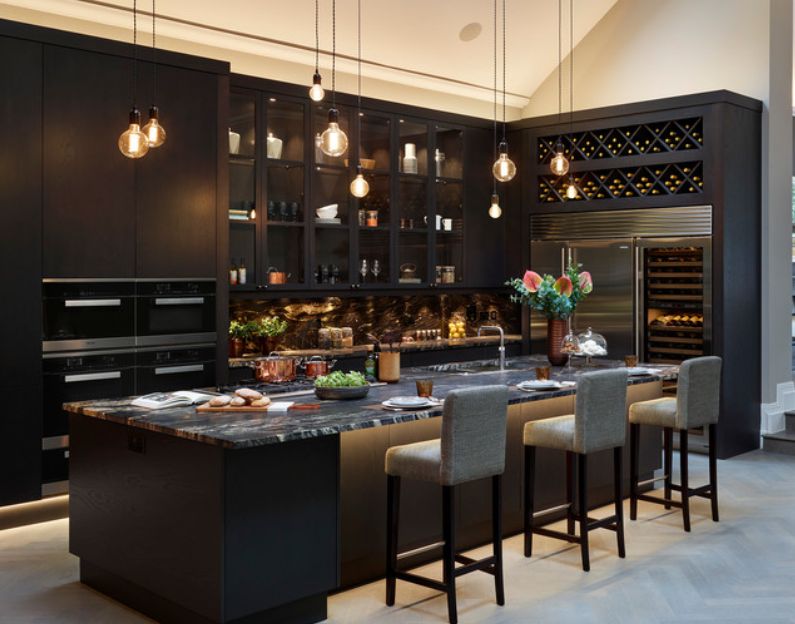 In a kitchen there is so much potential to use lighting to make a show stopping effect. We provide options for every area you could wish to illuminate, so the questions are: which areas to light and how to light them. Once you have been through this list and selected how many areas you are going to light, you then need to think about how you want to light them. Do you want the ambience zones to be slightly dimmer than the task areas? Have you selected lighting that is all the same colour temperature to ensure your scheme is consistent across all zones? How are you going to control them all? For any help with these questions please get in touch! Of course it is always important when starting to plan any lighting scheme to consider how much money you wish to spend to create your perfect room. If your budget is limited there are many fantastic options available at TLW to ensure you still achieve the look you want simply and quickly. 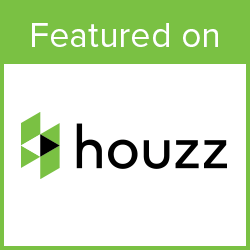 If the result you want to achieve is a complete ‘wow’ effect then add layers to your lighting and control your room with remote controls or a mobile application and move towards a smarter home. For more information please contact the TLW team on 01302 238129 or email us here. Exciting announcement… VEWtube is here!